NECO GCE timetable is OUT !!! Access NECO original timetable from here. No cost. It’s free. The 2018 NECO GCE has been scheduled to commence on Monday, 19th November and end on Wednesday, 19th December 2018. The 2018 November/December examination, often referred to as NECO GCE timetable is out. 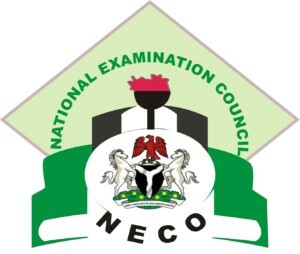 Following the announcement of the commencement of 2018 NECO GCE Online Registration, the National Examination Council (NECO) released the timetable for the examination. See also: How to Apply for 2018 WAEC GCE Form. 2018 NECO GCE has been scheduled to commence on Monday, 19TH November TO Wednesday, 19TH December, 2018. 43 French Paper IV (Aural Comprehension & Oral Expression) Monday 17th Dec.
44 Arabic Paper IV (Oral) Monday 17th Dec. Candidates should confirm the specific Venues for Oral French, Arabic and Stenography I & IV from NECO State Office where they are sitting for the examination. Candidates should come along with their Computers/Laptops for Stenography Paper I & IV to the specified venue. Possession of GSM in Examination Hall is PROHIBITED. Bring of PROGRAMMABLE CALCULATOR is not allowed. BLIND CANDIDATES ARE TO SIT FOR THE EXAMINATION IN THEIR RESPECTIVE NECO STATE OFFICES AND MAKE USE OF THE SUPPLIED BRAILLE SHEET. THE ALBINOS AND BLIND CANDIDATES ARE TO BE GIVEN 30 MINUTES EXTRA TIME ACROSS ALL PAPERS.